Genji was really unsure about how his appearance should be, so he just made sure everything was in check, he was check himself in the hotel at where Lori stayed window, he goes to the front desk and asks for Lori's room number and he goes up the elevator. Genji was a bit nervous as hte elevator stopped Genji breathed in and out. He then walks out of the elevator and walks down to the hall to Lori's room and he does his last checks on his clothes, then Genji knocks on the door. genji waiting for Lori to answer.
" Hello Lolli-chan hehe you look... you look so beautiful "Genji blushed and moved in to kiss lori on the lips. Genji smiled at her and gave her a hug " shall we go then heh "Genji takes her hand gently and started to lead her towards the elevator. lori giggled and held his hand "we shall, but where to?" Genji had already known where to go " Hmm well there is a restrunt we could go to for dinner if you interested then we could go and find some place to dance "Genji had asked to clear out a parka nd have it all lit up so then he and Lori could dance is a romantic like setting.
" Ohh good i hope we have a good time tonight "Genji winks at Lori Genji hoped his park plan would work out. Teh elevator opened up and he and Lori walked in. Genji holds Lori tightly not wanting to let her go as the elevator goes down then the ding as it gets to the bottom floor. then gEnji and Lori start to walk out. Genji and Lori started to walk through town with all hte lights form the shops and stand lit up Lori's face making her seem even more beautful " We should be there shortly "
lori smiled looking up at him "alright genji-koi"
" Hmm oh here we go "Genji proud with himself finding a good restrunt and having a wonderful girlfriend his life couldnt get better. lori giggled hugged genji "its wonderfull"
Genji and lori walk in and Genji asks for a table for two by a window and he got it, they were directed to their table. 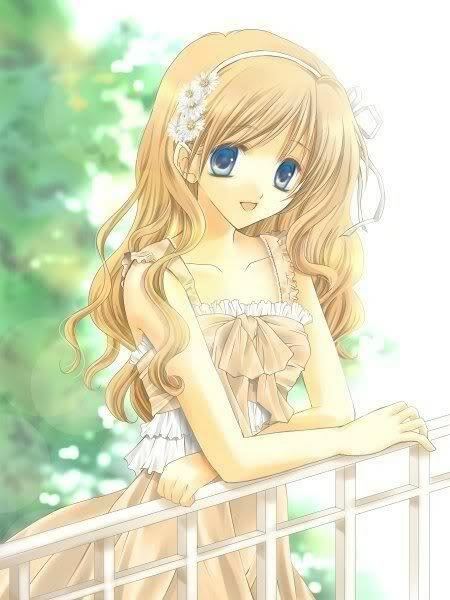 Genji sat down as well and wondered what to order, thenhe looked over at Lori so looked so beautiful in the dress and the light in the restruant made her more mezmerizing. lori was looking at the menu, but she slowly looked up at genji and smiled at him "what are you going to order genji-koi?"